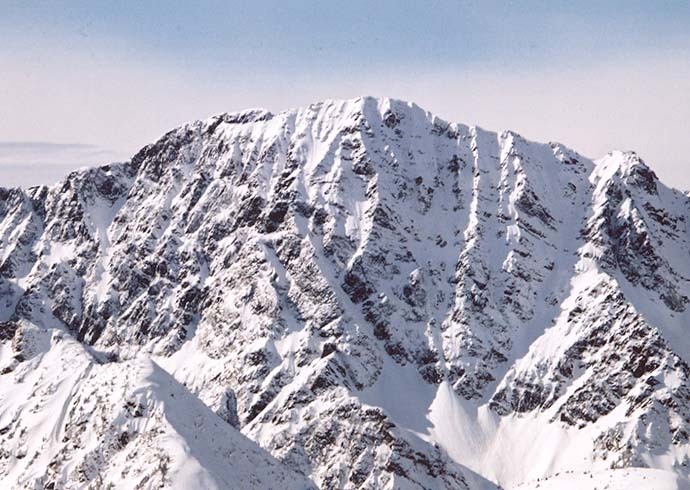 The East face and pocket glacier of Cirque Peak. Access: Moderate. 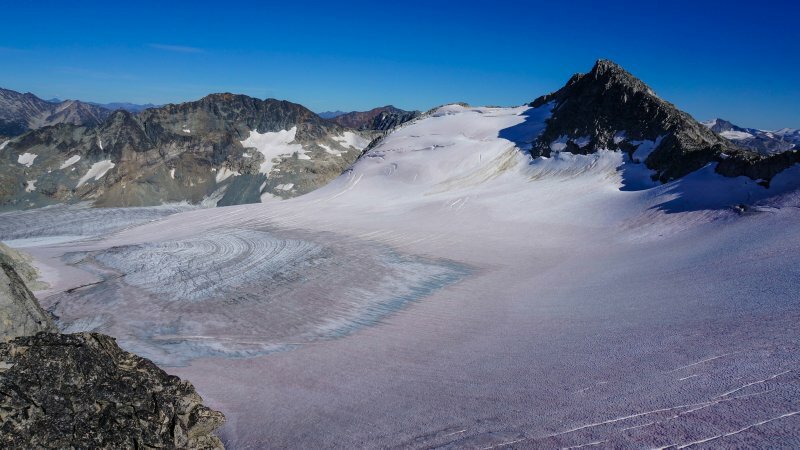 Easiest Access is either from Place Glacier (gained from Birken) or from the Duffey Lake Road up North Joffre Creek. Info: Not the most prominent or interesting peak when seen from the West or North but it’s East flanks and surrounding ridges are dramatic. Popularity: Sees occasional visitors and ascents. 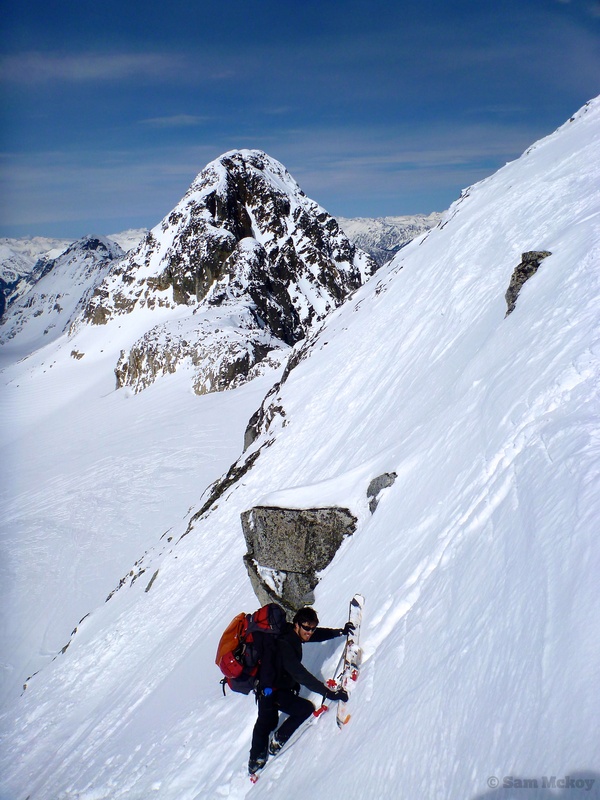 First Ascent: Unknown and unrecorded first ascent. 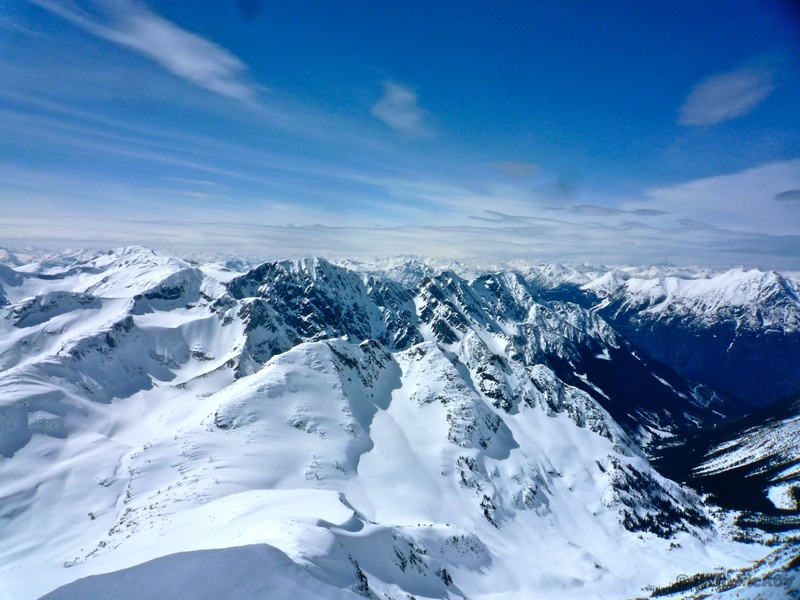 Skiable: Yes. 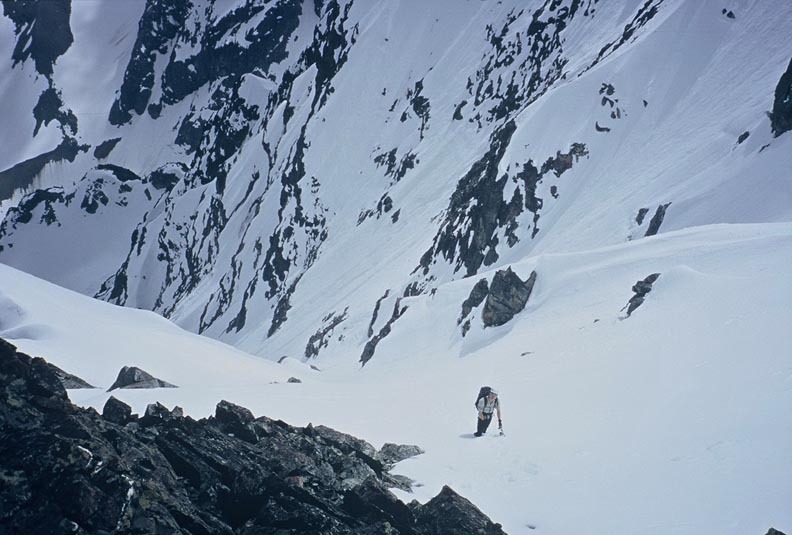 Steep Gully on the right of the east face and other extreme lines. 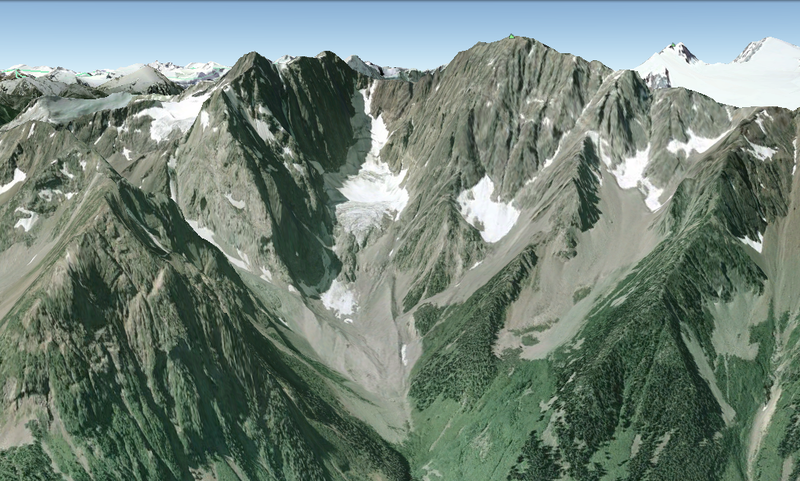 Google earth image of Cirque peak offering a perspective of the east face. 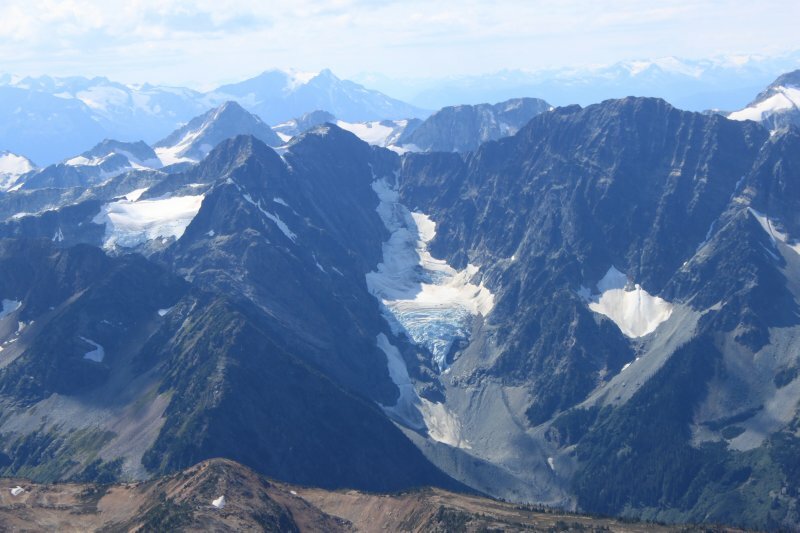 Flanks of Cirque Peak. Photo Jordan Peters. 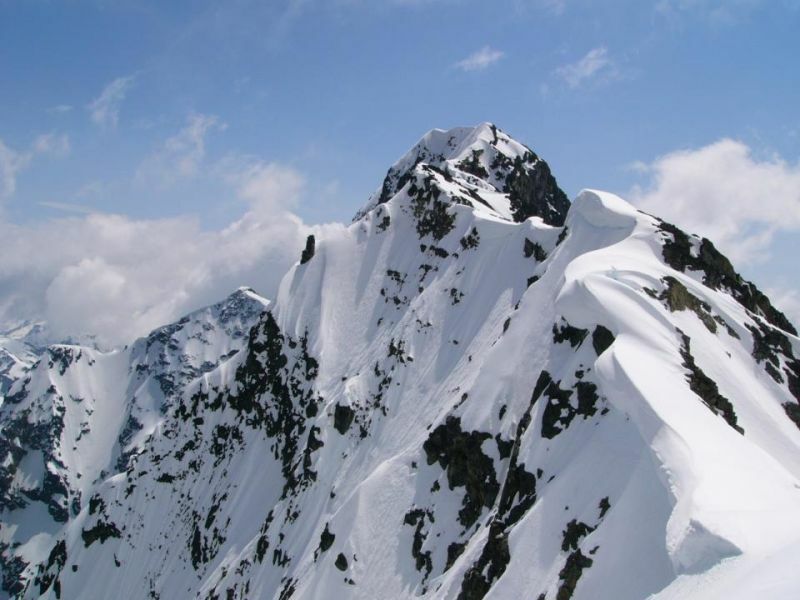 East face of Cirque Peak. Boot packing a face with Cirque in the background. 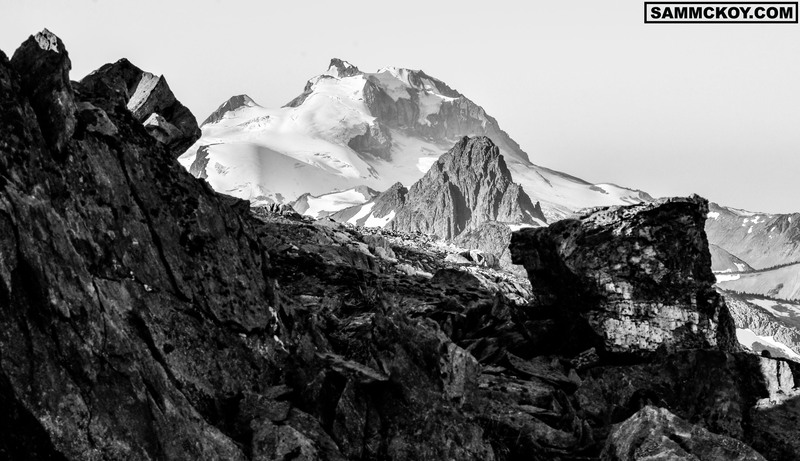 Cirque Peak seen from the summit of Cayoosh in May. 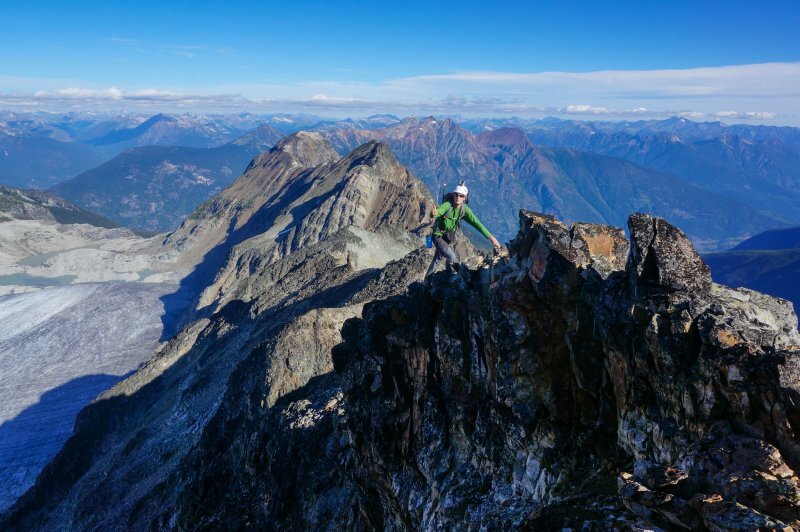 Climber scrambling on the summit ridge of Cirque Peak. Gates peak in behind. 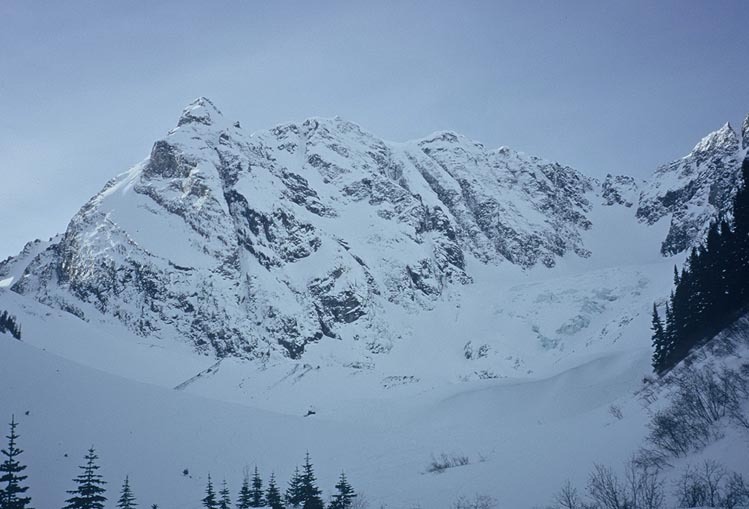 Cirque peak’s West side with the place glacier. Photo Clubtread.